Architecture inspired city design is also the perfect despcription for today’s second item, Muji’s City In A Bag wooden blocks. These are esthetic toys available with iconic sites of New York, London, Paris and Tokyo. They are beautiful to look at and would just as well make the perfect piece of decoration on a desk, since I believe they make really original paperweights. In fact, they are not necessarily aimed at children, but at traveling adults with collector aspirations, to be honest. But they seem to be just perfect for kids, and I do like the idea of familiarizing your children with differnt cities and famous buildings early on. Even though they will not know about the real places at that age, they will certainly be fascinated when they see an image of the Empire State Building and realize, that they have a miniature version, or when they actually see it for the first time in real life. Besides, along all the ugly clutter available, it is nice to see some items that also appeal to an adult’s sense of beauty. Each set retails for £5.95, available at Muji. Today will focus on creative toys from Europe, toys that are versatile and support imaginative playing. 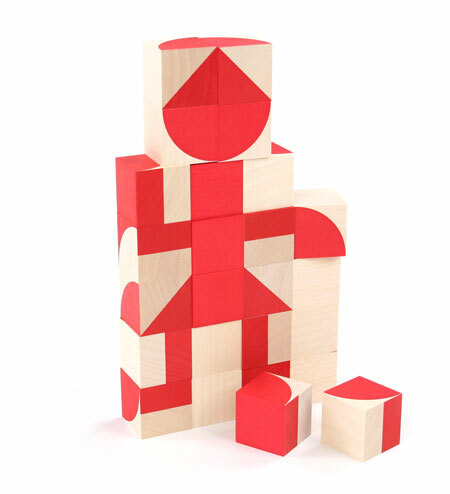 So first in line are wooden toys by Naef, available in a variety of shapes and colors. I have picked two sets of building blocks to show you, the Ornabo- and the Animal Puzzle. The Ornabo Puzzle is very basic in the sense that it only depicts basic geometric shapes. But don’t be fooled by the simplistsic design: All natural shapes are nothing more than combinations of circles, segments, squares, triangles and rectangles. Thus, the building possibilities are endless! It’s incredible how many things you can create with this ingenious kit, whether patterns, people, letters.. everything is possible. Which is also its second great advantage: This toy will be a favorite for a long time. And as was already mentioned, its great educative qualities extend from geometry to spelling and arts. This is definitely a toy you can’t go wrong with, and suitable for boys and girls alike. The whole range of Naef Toys is available at the Swissmade Naef-USA shop. But you can get a few pretty good deals at FatBrainToys right now on a smaller product range. 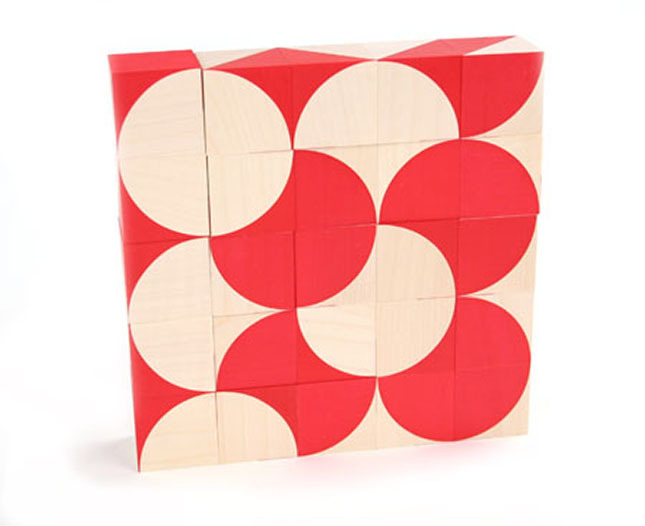 They currently have the Ornabo-Puzzle on close-out sale for only $66.94.